One of the greatest attractions for me about Korea is the status that professors enjoy in this country. I am not talking about just the respectful manner in which students speak to teachers; that is a pleasant, but not particularly significant, aspect of Korean culture. I am talking rather about the broad role that professors play in policy and industry. Professors serve on government committees, and the position of professor is a standard platform for launching a political career. In a sense, the rank of “Dr.” seems to outrank just about any other position in this society. Korea stands in marked contrast to the United States, where the status of intellectuals has been much diminished over the last fifty years. Whereas American presidents like Franklin D. Roosevelt and Harry Truman appointed many professors to high positions, those days are long gone in my country. But the tradition remains in Korea. Although I am delighted to live in a country that values intellectuals, my experience as a professor has also brought me face to face with the profound contradictions in the actual role of the professor that undermine the critical role of intellectuals in society. Professors, I learned, are not evaluated by their peers in a written format that captures the complexity and subtlety of their role, but rather are assessed according to inflexible checklists that have little, or nothing, to do with what the responsibility of the intellectual should be. There are three categories for evaluating professors at the university: teaching, research and service. In the case of teaching, the courses are so large that it is essentially impossible to talk with any real intimacy with students. The role of the professor is now to provide letters of recommendation for future employment or further education without actually having worked closely with that student and to provide a grade for the course. My teaching performance is evaluated by students using a survey that encourages students to see professors as performers. Sadly, a close relationship wherein the professor guides the student in understanding the world and prepares him for the challenges of a rapidly changing society is not relevant in the evaluation of the professor-although such relations with students would be the most valuable thing a professor could do. Moreover, the relationship of teacher and student is limited entirely to the course itself with little of the lifelong relationship that made Korean learning great over the last 500 years. There is no incentive at all for the professor to tell the student about harsh truths so as to help him or her to survive in what looks like a very grim future. Telling students pleasant myths helps one in getting a good evaluation, but it is a deep disservice to the students themselves. Then there is research. I was shocked when I was told last year that I should not bother reporting articles unless they are published in English, in Science Citation Index (SCI) or Social Sciences Citation Index (SSCI) journals. These journals have magically been declared to have “impact” (even though their readership is extremely small) and are considered “A grade.” But, in fact, many world-class journals are not included in these mysterious lists, and although I wrote in SSCI journals 10 years ago, I have stopped because I find that books and other journals have far more influence. Oddly, although the complexity of a scholar’s research activities can only be evaluated by his peers, the evaluation is left up to a check list made up by people who know nothing about the field. The scholar who publishes 10 mediocre articles in SSCI journals (which is easy to do) is favored over the scholar who publishes one game-changing paper in an obscure journal. Needless to say, Charles Darwin’s theory of evolution or Galileo Galilei’s heliocentric model for the solar system were not easily published in the scientific journals of the time. Today, scholars agree that much of the best writing is found on blogs and in many other unconventional places. In addition, it is assumed in evaluations that research written in English is the most important. In the humanities, obviously, the best journals in French literature are in French, and the best journals in Chinese history are in Chinese. But English is not even the only language for science. Although many scientists publish primarily in English, in the field of botany, for example, some of the best journals are written in Japanese. There is an increasing amount of first-class work in science that is published exclusively in Chinese, Japanese, Korean and other languages – the fact that American scholars do not know about that scholarship does not reduce its significance. I thought that I would do well in the “service” category as I participate in many volunteer activities related to the environment and civil society. But I discovered that only bureaucratic duties in the department count as “service.” That is to say that if intellectuals do their duty by calling attention to important issues for ordinary people, issues that ordinary people do not have the expertise or the time to fully comprehend, that effort is irrelevant in the assessment of a professor’s contributions. Korea has a glorious history of academies called hyanggyo that produced great scholars who were also intellectuals of conscience. Scholars in those academies were evaluated by other scholars according to the quality of their writings and their ethical stance. That tradition of scholarship, in which the academies were fiercely independent and committed to a long-term vision of learning as an ethical pursuit, should be a model for us. 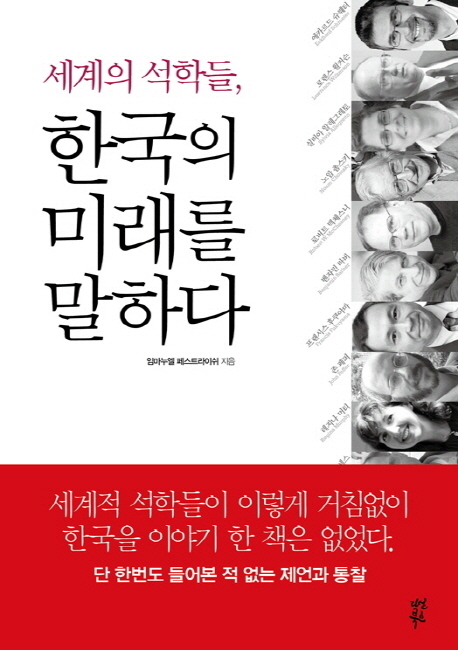 It is precisely the combination of ethics and scholarship that distinguishes Korean academics. To tear the two apart is to destroy the very appeal of Korea’s universities. 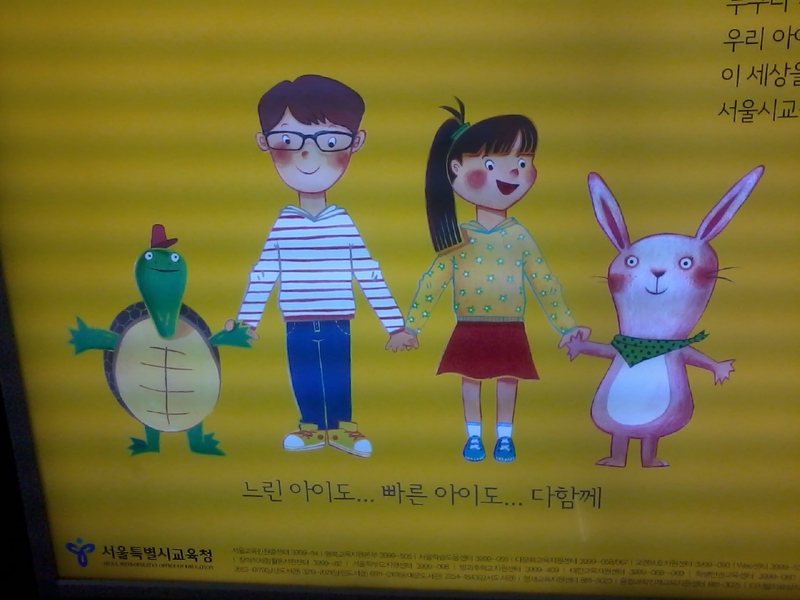 This very striking poster appeared today in the Seoul Metro affirming the importance of equality of opportunity in education and asserting the need for an approach to education that includes both fast and slow learners. Anyone at all can find an motherload deep within himself. Both slow kids and fast kids, all together. 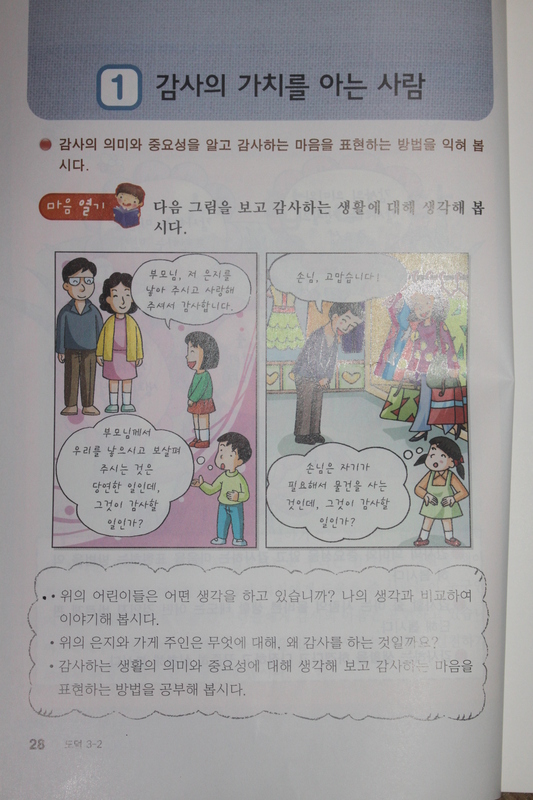 This is the textbook on ethics “도덕” employed in elementary schools in Korea today. The very existence of such a class as part of the daily program is remarkable. Whereas such teaching of ethics once seemed rather old-fashioned, it has a certain appeal today granted the decline of efforts to promote a discussion on ethics in the classroom in the United States. The importance of expressing thanks. I was also struck by the efforts to address multicultural issues and the children of “multicultural families” (as the phrase goes in Korean). 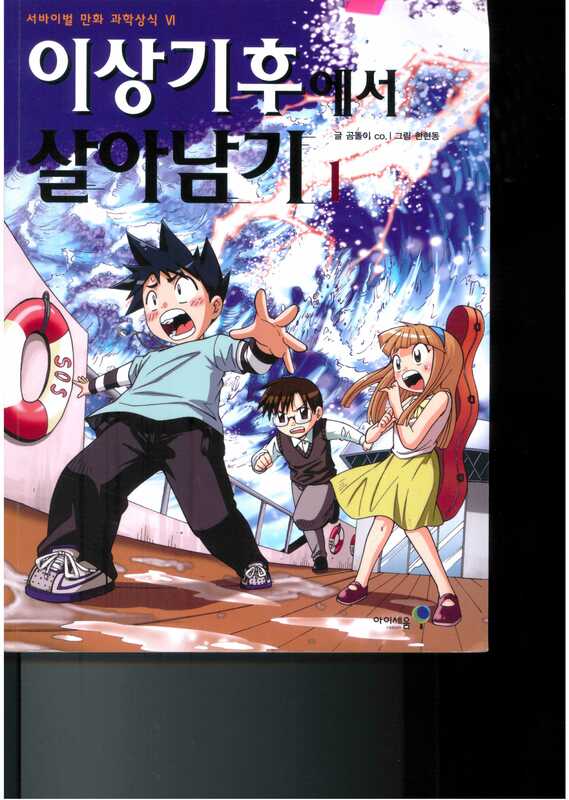 Korea is known for its remarkably well written comic books for kids. 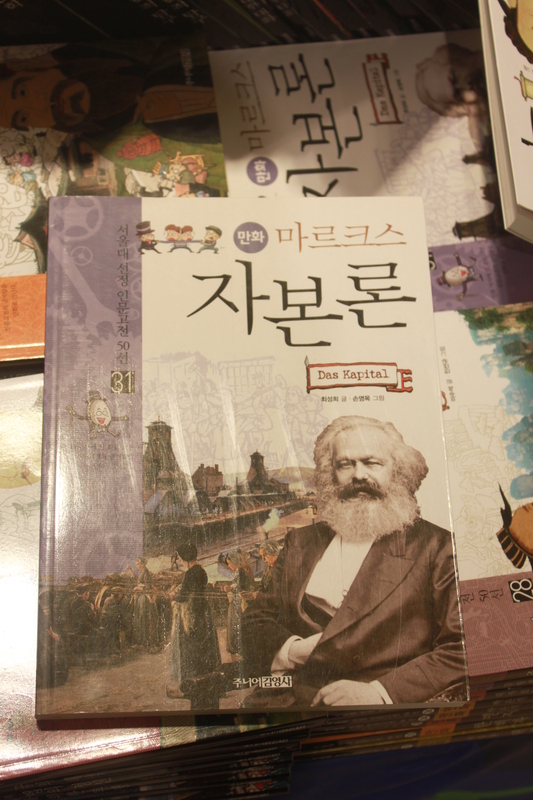 Here is a collection of recent comic books on such intellectual topics as “theories of government,” “Confucius,” and “Mencius.” But imagine my surprise when I spotted a cartoon junior version of Karl Marx’s “Das Kapital” mixed in there! 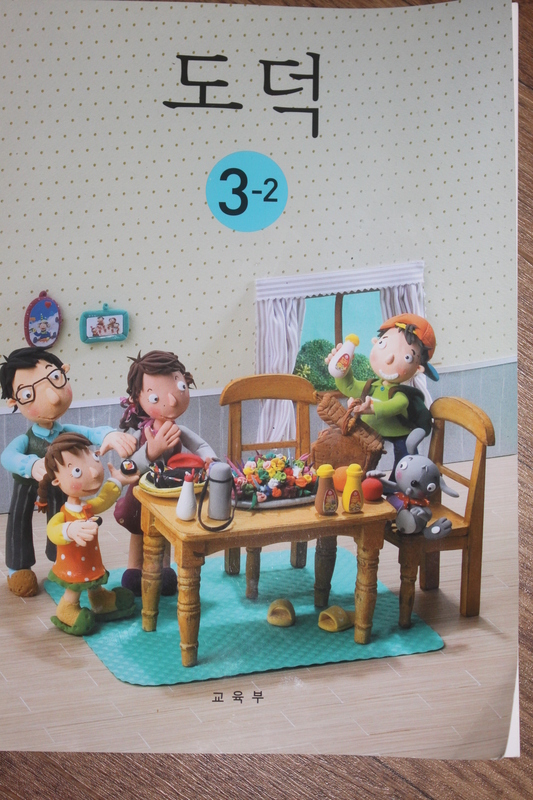 Here are basic economic issues in a market economy and their negative implications explained for young readers. One need look no further than the Korean-English and English-Korean dictionary to see where we need to start if we want to truly internationalize the teaching of Korean language. Most English-Korean and Korean-English dictionaries (all dictionaries that I have ever seen) are written in a manner that discourages foreigners from leaning Korean. I think that it would be easy to create truly foreigner-friendly dictionaries and the investment could revolutionize the status of Korean language around the world. 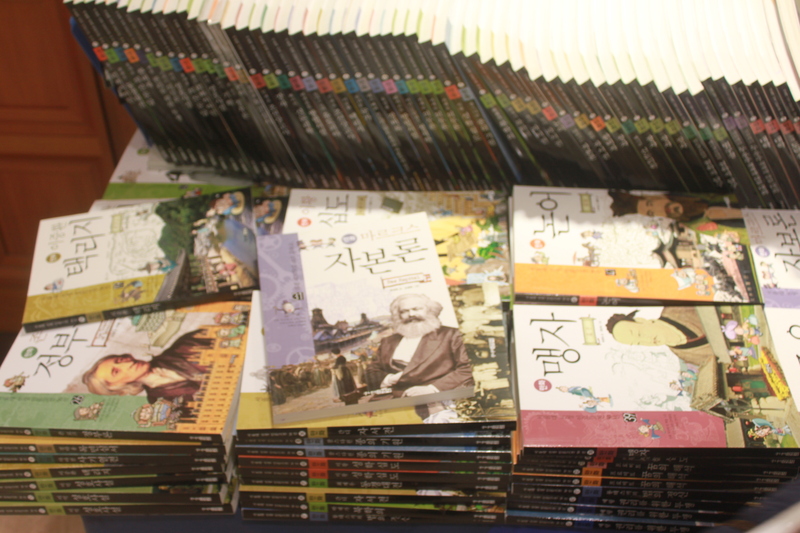 Most Korean-English and English-Korean dictionaries are difficult or impossible for foreigners to use for the simple reason that they were designed for native speakers of Korean. Such an approach creates a tremendous barrier to learning the Korean language. 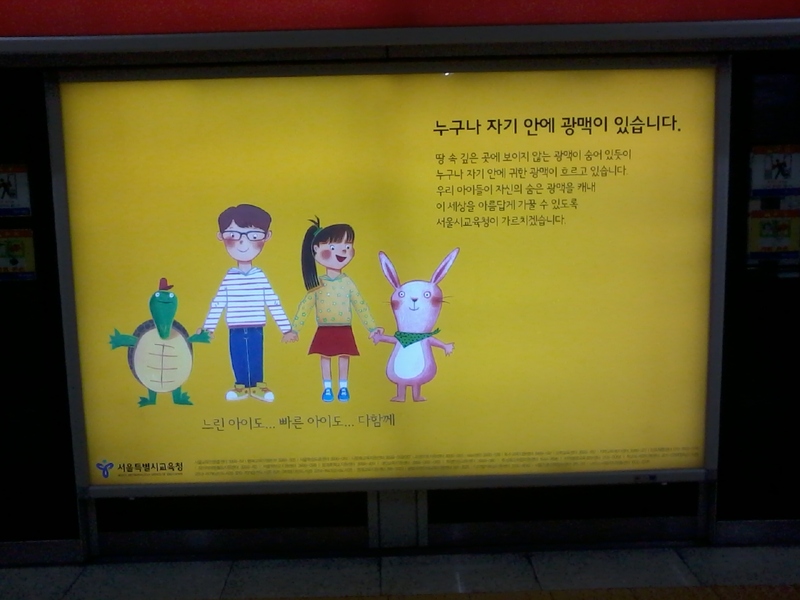 For example, if you pick up an English-Korean dictionary and look up the word “happy” this is what you will find. The word “happy” in English is followed by definitions of its various usages in English given entirely in Korean. These definitions are incomprehensible for a beginning student and difficult for an intermediate student. These definitions are useless as the international student does not want to know what “happy” means, but rather how to say it idiomatically in Korean. 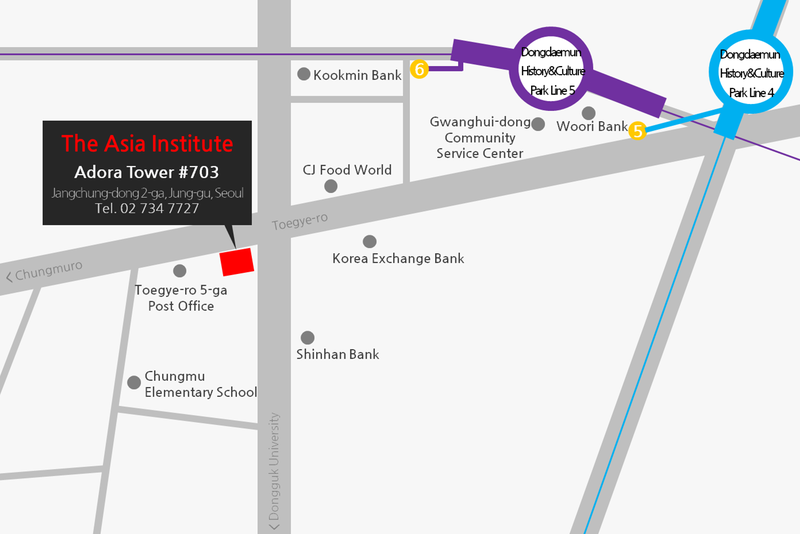 Moreover, the definitions are given in rather technical language which is at a great distance from spoken Korean. The best Korean equivalent “gibbuda” is often hard to find in that collection of definitions because it is too simple a term and seems rather un-scholarly. Those definitions are followed by sentences in English using the word “happy” in its different senses which are in turn followed by Korean translations. The Korean translations of the sample English sentences are literal translations and are often rather unnatural in their phrasing. The purpose of these Korean sentences is to explain the meaning of the English sentence, not to give an idiomatic Korean equivalent. So let us think about what an English-Korean dictionary for international learners should look like. First, the word “happy” should be followed with a list of Korean words that are equivalent of happy. Each of those Korean words should be followed by an explanation in English of the nuances of that usage. Then, there should be a series of sample sentences in idiomatic Korean that are followed by English translations and explanations. Moreover, both a hangul and a Romanized version of the Korean term should be given in every case. Often the actual pronunciation, and the stress, in Korean words is difficult to predict even for internationals who know hangul script well. The ending consonant of one hangul unit often changes its pronunciation, but not its hangul rendering, depending on the initial consonant of the following hangul unit. Any English-Korean dictionary for internationals must have a Romanized version of all terms that indicates such transformations, as well as odd rising and falling tones, that can trip up even a foreigner like me who has been speaking Korean for over a decade. In the case of the Korean-English dictionary, the reverse is true. The Korean-English dictionary you will find in a bookstore gives a Korean word followed by examples of English words that are equivalent to the different meanings of that word. 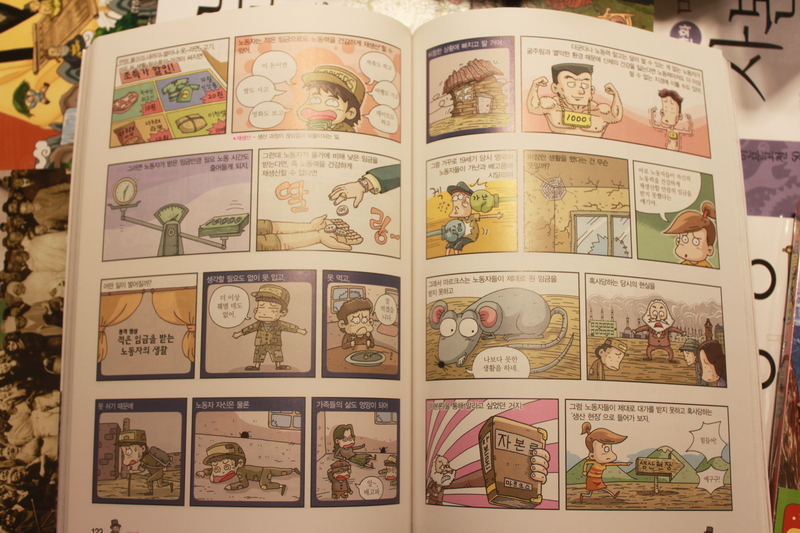 The English words are often followed by an explanation about their significance written entirely in Korean. But the international user needs the complete opposite. The international user needs to have explanations in English of the various meanings of the Korean word. Then the international reader also needs idiomatic sentences in Korean that employ that word followed by English translations and explanations about usage. As long as there is no English definition of the Korean words given, the dictionary will be profoundly frustrating for the international user. As far as I know, although there are simple learners’ dictionaries for Korean for beginning students, there exist no practical Korean-English dictionaries aimed at international users. In addition, we need a universal option in Korean language input systems for word processing that allows for a Romanized input (using the alphabet) of Korean language instead of only hangul. Such Romanized input systems exist for Japanese and Chinese and make it far easier for internationals to write in those languages. The lack of a Romanized input system is a major barrier to foreigners writing in Korean which is unfortunate given the growing importance of the Korean language around the world. Korean is increasing becoming an international language and we find people from different countries around the world communicating with each other in Korean even when neither is a native speaker of Korean. Going forward, we really need to do now is focus on the needs of international users for dictionaries and input systems, not just the needs of Korean users.